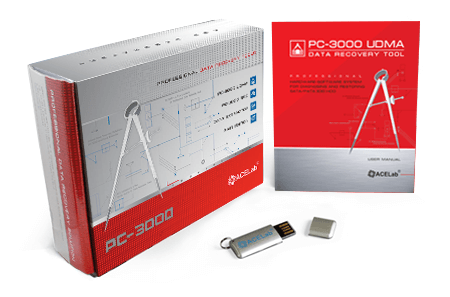 The PC-3000 SSD Software System operates in tandem with one of the three up-to-date hardware platforms – PC-3000 Express, PC-3000 UDMA, or PC-3000 Portable – and it is intended for SSD repair and diagnosis and for data recovery from SSDs with SATA, PATA, mSATA, and M.2 (NGFF) interfaces and the capacity from 32 GB to 2 Tb produced by different manufacturers, such as OCZ, Corsair, Crucial, RunCore, A-DATA, G.Skill, Micron, Plextor, Intel, Samsung, Seagate, SanDisk, Kingston and others. 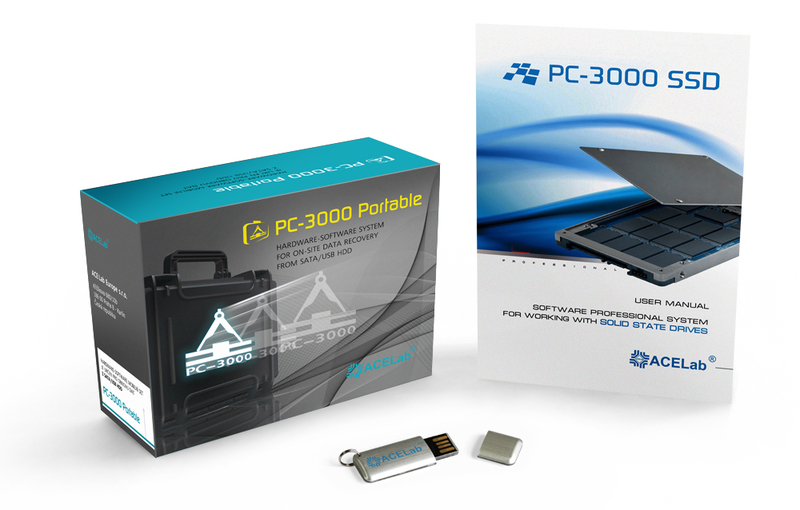 The PC-3000 SSD contains a set of specialized utilities for working with solid-state drives. This set includes the Universal Utility for diagnosing any SSD based on the ATA-8 specification (both currently existing models and those that will be manufactured in future) and the Active Utilities (Special Utilities) intended for working with a particular drive model in factory mode. It enables to deeply diagnose SSDs, to perform service operations, to re-write the drive's microcode, to get direct access to memory chips, to carry out low-level formatting blocking the damaged cells and placing their addresses into the defect table, and to perform many other useful operations. The PC-3000 SSD is started from the main window of the PC-3000 Express, UDMA, or Portable System by means of clicking a button on the desktop panel. The list of Active Utilities of the PC-3000 SSD System is expanded as soon as new SSD models are studied, and it is a continuous process. Those utilities that are currently available allow you to successfully recover data from all contemporary solid-state drives and to resolve the majority of wide-spread SSD problems. Special adapters and connectors for PC-3000 Express and UDMA have been added in order to use technological interfaces to diagnose and repair drives. There is no need to wait until the PC-3000 SSD is shipped when you have an urgent SSD recovery case from your important customer. 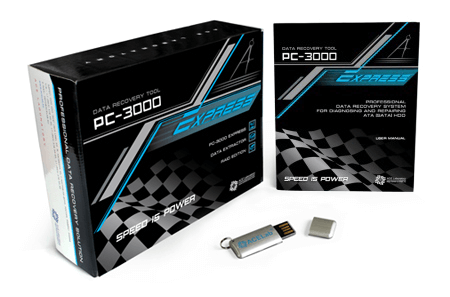 The PC-3000 SSD software can be available immediately at the day of the payment. M.2 (NGFF) (if there is an adapter). Visit our official blog to see the latest supported SSD models. December 11, 2017 The new versions of PC-3000 SSD Ver. 2.5.8 is available now! May 25, 2017 The newest versions of PC-3000 SSD Ver.2.4.3 is available now! AMD/Barefoot 3" utility has been added. The possibility of parameter autodetection for family-dependent SSD has been added (Common SanDisk family). Bootloader mode option has been added.